However, UFC boss Dana White has managed to get "T-Wood" back to work with a fight March 2 at UFC 235 (Tickets). He'll be fighting rising prospect Kamaru Usman. A vicious, aggressive Woodley came to brawl at UFC 201. This is the version of him that fans enjoy the most. Taking on Robbie Lawler, the hard-hitting sensation showed no fear in the stand-up department, as he floored the "Ruthless" one with a devastating knockout blow midway through the opening stanza. The win would earn Woodley the UFC's welterweight championship as well as a nice "Performance of the Night" bonus check. Putting his belt on the line for the first time, the champ showed off a more defensive, technical side in his fight against "Wonderboy." Woodley utilized fancy footwork and plenty of counter-striking to confuse the challenger, and ultimately retain his belt. The fight would end in a draw, resulting in a rematch that took place less than a year later. Unfortunately, the second meeting between these two didn't live up to their UFC 205 classic. Heading into this UFC 228 fight, the thought was that Till would be able to easily take Woodley to the mat, and use his elite grappling to score a finish. To nearly everyone's surprise, the exact opposite happened. The champ was the one to dominate in the wrestling department, as he used his power to take down and choke out the challenger with a D'Arce in the second frame. 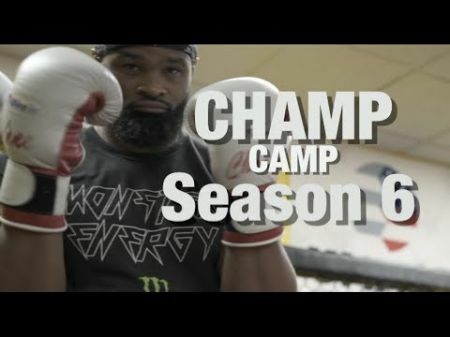 Woodley was already a well-known prospect by the time he made his UFC debut in 2013. By that point, he had already solidified his legacy with a nice run in Strikeforce, with wins over the likes of Nathan Coy and Paul Daley. UFC fans knew that Woodley was a special talent to keep an eye on, but his knockout win over Hieron really put the explanation point on that idea. Woodley scored a finish via strikes in the first round of action. The casual fan may not have appreciated this fight, being that Woodley and Maia threw an extremely small amount of strikes for a five-round title match. However, it was a big hit in the Brazilian Jiu-Jitsu community because it was such a technical chess match. Over the course of 25 minutes, Woodley was able to stuff multiple takedown attempts and beat Maia at his own game.